100% ALWAYS Everyone always speaks well of Mark. 90% USUALLY She usually fed her cat cheap cat food. 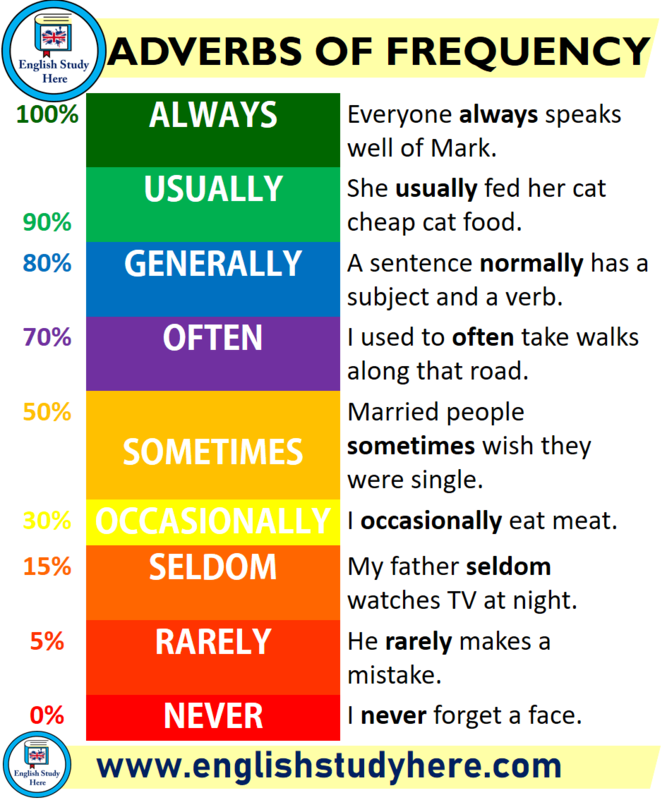 80% GENERALLY A sentence normally has a subject and a verb. 70% OFTEN I used to often take walks along that road. 50% SOMETIMES Married people sometimes wish they were single. 30% OCCASIONALLY I occasionally eat meat. 15% SELDOM My father seldom watches TV at night. 5% RARELY He rarely makes a mistake. 0% NEVER I never forget a face.